In 2010, the redfish cooperative research project or REDNET, was funded by the Northeast Fisheries Science Center (NEFSC) Cooperative Research Program. REDNET was formed as a way to address the feasibility/ viability of reviving a redfish (Sebastes fasciatus) trawl fishery in the Gulf of Maine through a cooperative and integrated network approach. REDIRECT fishing effort in the multi species fishery away from depleted stocks to stocks that are considered rebuilt-such as redfish. INCREASE the economic viability of ground fish sectors by providing access to Annual Catch Limits (ACL) of a recovered species and generating critical revenue for the industry. Create a network of experts,convene meetings & establish a baseline of information. Use exploratory fishing to gather temporal & spatial distribution of redfish data. Evaluate appropriate codend mesh sizes & shapes. 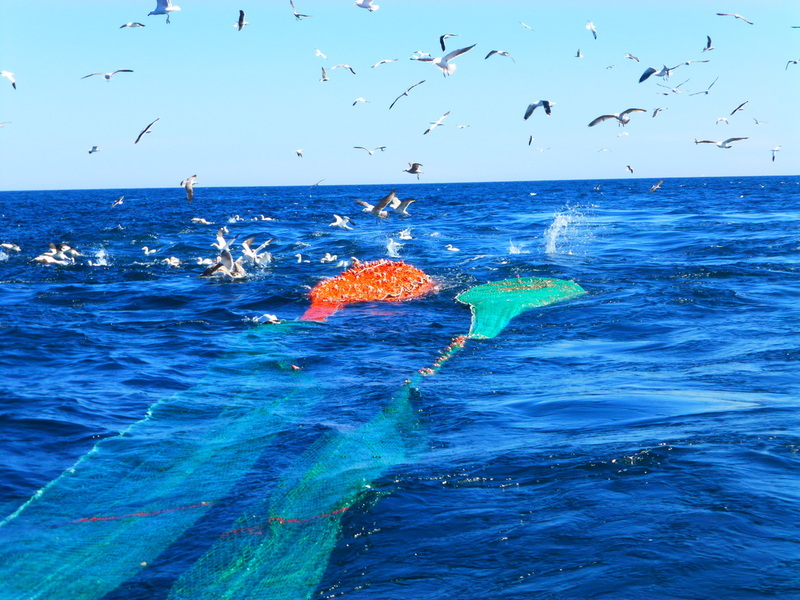 Develop bycatch reduction methods or strategies if necessary. Evaluate potential markets & processing capacity. Funding for REDNET is through the Northeast Cooperative Research Program (NOAA/NEFSC).